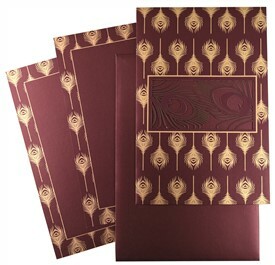 Beautiful laser cut Morpankh (peacock’s feather) at the center adorn the card. 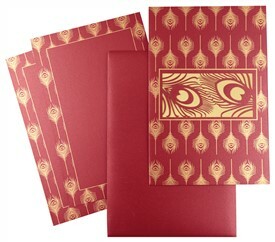 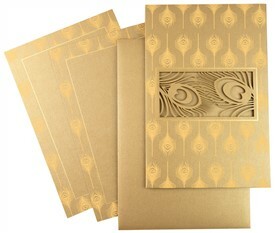 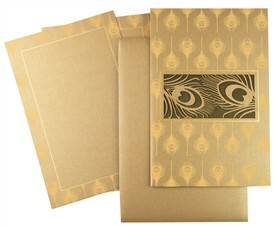 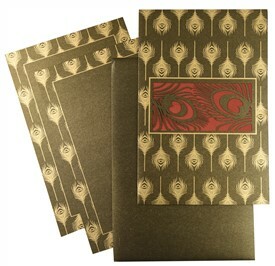 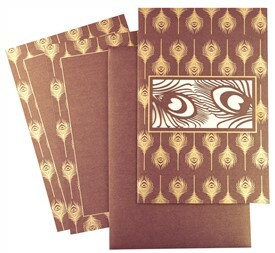 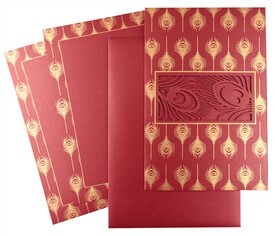 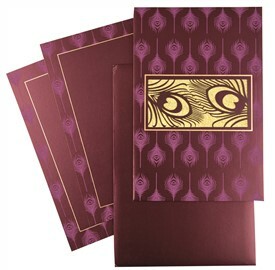 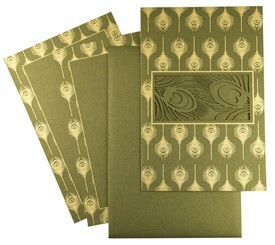 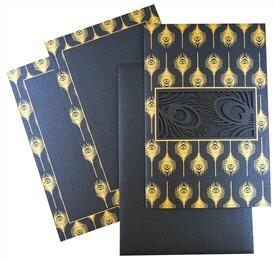 The gold paper pasteup gives depth to the laser-cut feather. 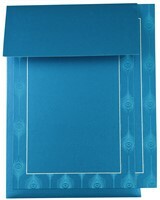 The card also has Morpankh in self-print. 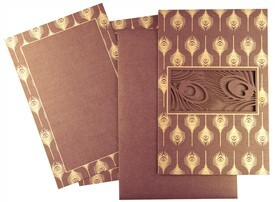 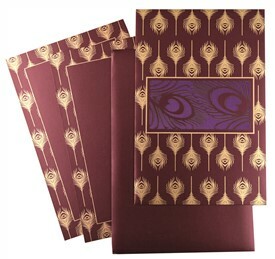 Inserts are adorned with feather border. 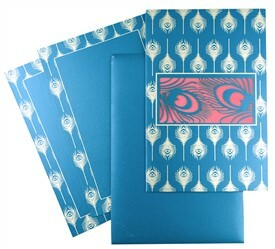 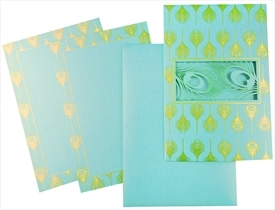 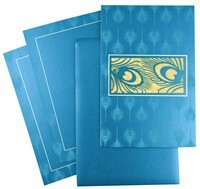 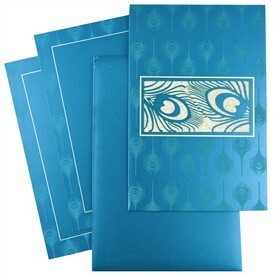 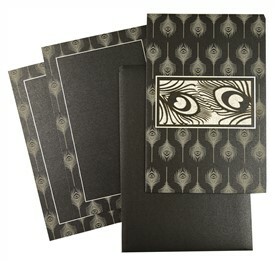 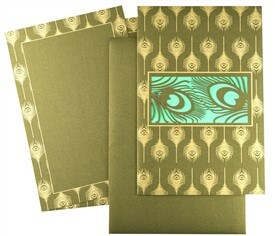 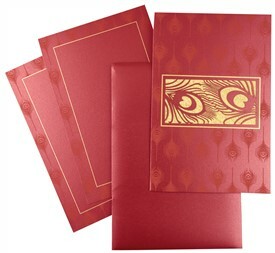 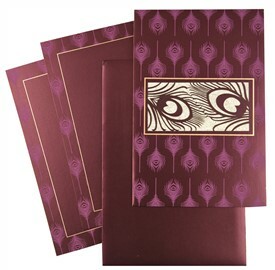 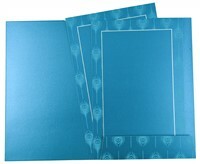 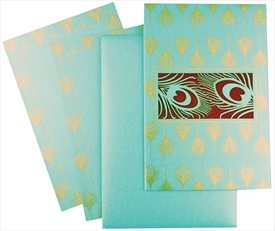 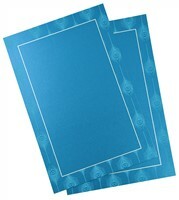 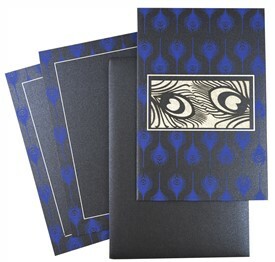 Turquoise blue shimmer paper (250 gsm) for main card, inside left pasteup, 2 inserts and mailing envelope. 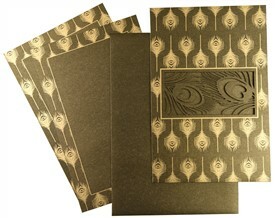 Gold textured paper (150 gsm) for pasteup under the laser cut.